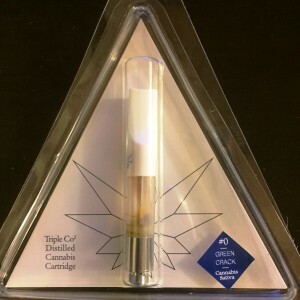 This cannabis oil cartridges are extracted from the best Green Crack strain and is 90% Sativa 10% Indica which makes for a high totally controllable for daytime use. 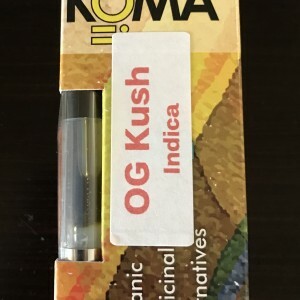 Its dynamic cartridge has been developed to work with most e-pens and delivery systems, and can be used with a variety of vaporizers, dab rigs and tinctures so it really is up to you which one suits your needs best. The beauty of concentrates lies in the fact that it strips away all the plant materials and leaves just the highly potent cannabis qualities, in this case we are talking about THC levels. Vaporizors are a simple pen cartridges that heat the liquid to the exact temperatures where the user can avoid all the toxins of smoking, and gain all the benefits of marijuana. Dabbing involves the heating of a skillet and placing the marijuana concentrate onto the warm surface and inhaling. This method heats the concentration to near vaporization point making this particular methods one of the most healthiest as most of the toxin disappear. You can even just apply this liquid straight to the bud in order to enhance the THC levels. Should you need to. As with most Sativa based products the high is uplifting and energetic, enabling the user to get on with their daily routine. However the effects of using concentrates are extremely quick so it would be advised for newcomers to ease into this particular consumption. Most chronic pains and limitations are relieved through the use of this particular strain.